Hi everyone! Today I thought I would have a little contest. My Dad loves to photograph butterflies and has been interested in them since he was a kid. He had never seen this butterfly before until last week when one was on our coneflowers. Do you know what kind it is? If so, put your answer in the comment section for a chance to win a catnip mat made with this beautiful butterfly pattern. If more than one of you gets it correct, I will put your names into a drawing to choose the winner. You only have until 9PM (EST) Sunday to submit your answer. Grammie did come to see me on Thursday. I love her so very much. And she is going to stay with us Monday while Mom and Dad meet Dad’s sister for lunch. Party time!!! 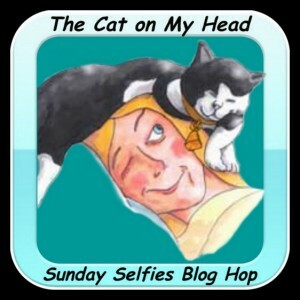 I am joining The Cat on My Head’s Sunday Selfie Blog Hop. Hi everyone! I thought it would be fun to have a little contest today. My Mom and I babysit on Thursday and Friday for my great-niece ( her great grand-daughter). We have been having a little trouble figuring out baby toys from cat and dog toys. The other day, one was in the dog’s toy basket and I picked it out. My Mom said, “that is Nora’s , give it to her” so I did and the dog was more than happy to play with it. Turns out it was a baby toy, one of the cats had knocked it off the counter into the dog’s toy basket. Another day, I asked my niece why the baby was playing with a cat toy. She said she even double checked the tag to be sure it was a baby toy. I have 3 photos below, the first person to identify all 3 toys correctly will win some crocheted catnip toys ( for cats). Just list the number and if you think it is a dog, cat or baby toy. Good Luck! It is trickier than it looks. Hi everyone! Tonight is the last episode of Downton Abbey so Mom said I could do a giveaway. Well, it is more of a contest and the winner will get the book, Downton Tabby. Here is a link to see if because we just ordered it today so I can’t get in a photo with it. Mom is even letting me use her finest china so I can pretend to live at Downton. Will Lady Edith end up alone? We are hoping Marigold’s father is still alive and was in a coma then magically reappears. Will Anna and Bates have their baby and live happily ever after or will we find out he is a sociopath like Mom thinks he is? Do you think anyone will die? Who? I got to see my Grammie I love her so very much. And I will see her again on Monday- Yippeee! Take that great grandbaby. Happy Monday everyone! Today is fun and games day so instead of thinking outside the box like I usually try to do, I am sticking with a box. I bought a bunch of these boxes on sale at Home Depot last week for 69cents/each. I am going to use most for my decluttering project, but I got a couple extra for the kitties. Phoebe will see you tomorrow for Cinco de Mayo! And a giveaway……. Happy Tuesday everyone! 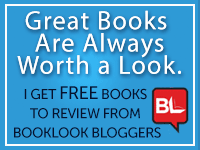 Today is R day on the a-z blogging challenge. I chose Rachael Ray for my R so I could tell you about a giveaway she is having. She is giving one lucky winner $1,000- just think of all the cat food, treats, toys and litter that could buy. Or it could be put away for medical expenses or donated to a shelter- so many great uses. I am off to join Instagram. Have a nice day and don’t forget to comment for a chance to win the catnip mat and crocheted catnip chicken legs: Phoebe will announce a winner on Thursday. Hi everyone! I apologize in advance for my mood. I haven’t been eating as much for a couple days so Mom , the drama queen is taking me to the vet this morning- at 8 AM!! She best have that car all warmed up!!! I just figured I would cut back on snacks so I would have a nice figure now that I am a celebrity and all. Mom thinks I have a tooth issue or a furball. OK, I admit that yesterday I felt a little under the weather. I wanted to take a nap in my favorite spot on my pillow and look what I found: My pillow is clearly marked with a P- you’d think a Cat Scout would know the alphabet. Sammy has a great sleeping spot, the top bunk bed. Did you know we have a custom made bunk bed that takes crib mattresses specially made for us? Sammy has claimed the top, he even has a naughty photo up there but instead he takes my spot. I was a little miffed and I usually am very sweet . Well, today I am a lot miffed. I don’t like leaving the house. The only good part would be if I get to see a tractor trailer truck. I love trucks, I even watch for the garbage truck. Maybe my Grammie will visit me, that would make me happy because I love her so very much. Happy Selfie Sunday everyone! Sunday is my favorite day because I get to write and then I get to watch Downton Abbey. I must have dozed off during Downton last week because I heard Mom say Lady Mary gave her boyfriend some free milk and now he probably wasn’t going to buy a cow??? I didn’t see her give him any milk and why would he want to buy a cow? I am very confused now and hope I can figure it out this week. I wish someone would give me some free milk- Mom never gives us milk. I came up with a fun contest, this is really a contest, not a giveaway. You know my shoe loving brother, Millie. Well, he has an extremely long tail. Dad measured it and it is 14 inches. Can anyone top that? If you can, then you will win a prize. If there are more than one that can, the prize goes to the longest and if that is a tie then we will do a drawing to pick the winner. You have until next Saturday to enter. My Grammie came over Friday and gave us lots of treats ( don’t tell my siblings, but she gave me a dollar too) . She is the best Grammie.. she is supposed to see us tomorrow, but it might snow so she probably won’t get to- phooey!! I love her so very much. Speaking of snow, I watched Mom and Dad build a snowman yesterday: Those are my eyes glowing. And here is Dad with the snowman: . Have a nice week everyone- I will see you Thursday. Hi, this is Phoebe-today is not a happy Sunday. We were all sad to hear of the loss of Nylablue- our purrs and prayers are with her family. It was just a joke though, it was good coal- the catnip kind. My first giveaway is going to be 2 pieces of catnip coal. To enter, just comment today or tomorrow and tell me the naughtiest thing you ever did. I will pick who I think is the naughtiest and have mom mail the coal to you. Next week I will have another giveaway that the winner can pick a crocheted gift for their mom or dad. Here is a Sammy selfie: he has cute freckles on his nose. And this is my new scarf mom made for me: I can’t wait for Thanksgiving to spend time with my Grammie. Happy Monday everyone! Hope you all had a nice weekend. I have been busy working on this year’s Halloween costumes for the kitties. I love Halloween and have almost as many decorations as I do for Christmas. I don’t know why I decorate though because we never have Trick or Treaters or a party, but at least we enjoy it. This guy gives me a fright every year for the first couple days he is out: Stinky is brave though. I love to go to the Dollar Tree and get a package of eyeballs for the kitties to play with. There are 12 in a package so that is under 10 cents a piece- you aren’t going to find any cat toys at the pet store that cheap. Plus I think it is a hoot watching them bat eyeballs around and they all seem to enjoy them too. I know I just had a giveaway, but I thought I would do another one with some eyeballs- the Dollar Tree kind and a couple crocheted ones that I crocheted ( catnip included). Some of my cats are not as cooperative as others with the costumes , here is Polar Bear with his 2 wives, Tallulah and Noel . The first person to guess what they are supposed to be wins the eyeballs.Sorry this is for US readers only because it would cost me way more to ship than the actual cost of the prize. And the winner of this weekend’s giveaway for breast cancer awareness is: Marty the Manx-Congratulations!!! I will be emailing you for your address. Thanks to everyone who commented, I truly appreciate your participation.